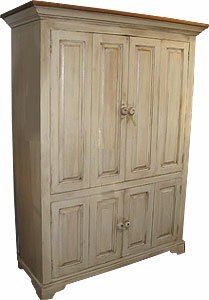 Looking for an attractive TV armoire to house your flat screen tv? 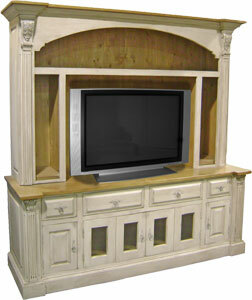 Look at our variety of functional TV armoires: whether you want to hide the television, or show it off, we've got the design for you. 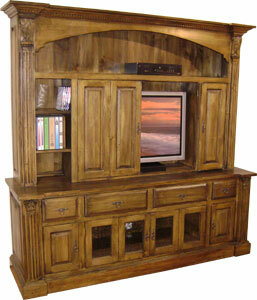 Choices include a flat screen TV armoire, a provincial TV armoire with doors, and a flat screen entertainment center. Pick a cabinet with bifold doors, or pocket doors to cover up the tv. 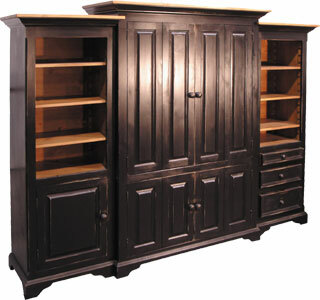 Add storage by choosing an entertainment center with nesting side units with shelves and drawers. 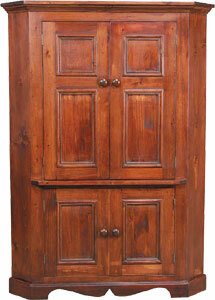 Whatever your needs are, these armoires will add a lot of style to your living room, family room, or rec room.